In a bid to emphasise its seriousness over Dalit issues, the government would knock on the doors of the judiciary to ensure reservation in promotions for scheduled castes and tribes in government jobs. 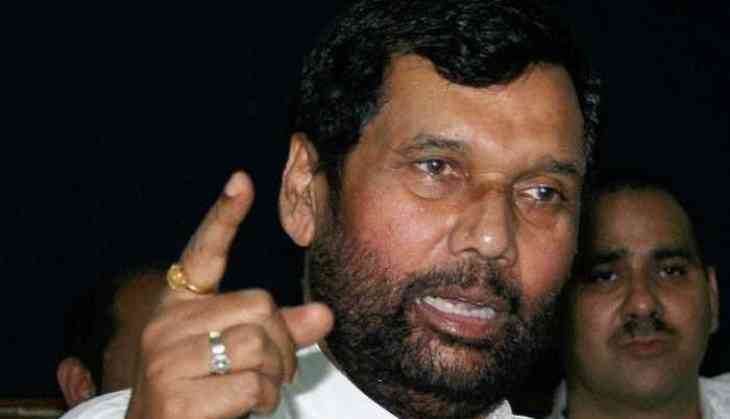 Union minister and BJP ally Ram Vilas Paswan said the Modi government wants three issues -- reservation for SCs and STs in promotions in government jobs, quota for them in universities, besides the law on atrocities against them -- to be settled as per the demands of the Dalit groups, which have argued that a string of court orders on these matters have hit their interests adversely. While the government has already filed a review against the apex court's order on the Scheduled Castes and Scheduled Tribes (Prevention of Atrocities) Act, it has announced that it will also challenge a judicial order which led the University Grants Commission (UGC) to change rules for the counting of reserved seats for teachers in universities. Dalit groups have claimed that the UGC direction has led to a fall in the number of seats reserved for the SCs and STs. A group of ministers, including Home Minister Rajnath Singh, Social Justice and Empowerment Minister Thaawarchand Gehlot and Paswan, is of the view that the government should also move the Supreme Court on the issue of reservation in promotions in government jobs for the two communities, Paswan said. The group of ministers has been constituted to deal with these issues. The Lok Janshakti Party president, who has emerged as a key spokesperson of the government on Dalit issues, told PTI that the Union government is determined to ensure that justice is done to the SCs and STs. Paswan had earlier hinted that the government would not shy away from coming out with an ordinance if such a need arises. He said the benefit of reservation in promotions for the communities has come to a stop following a judicial order which had laid down certain guidelines for it to continue. We would move the apex court and urge it to review the decision, he said. Dalit groups had hit the streets following a March 20 Supreme Court order which, they claimed, diluted provisions of the law against atrocities. Opposition parties were quick to seize the issue to target the BJP-led NDA government and had dubbed it as anti-Dalit . The BJP and the Modi government have since taken a host of measures to woo Dalits which would be crucial to the party's electoral fortunes in the Lok Sabha polls next year.